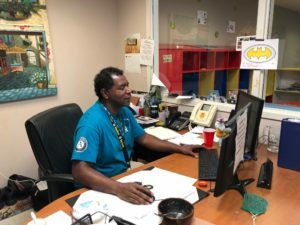 AmeriCorps Spotlight: Allen Dowell - CARITAS - Shelter. Jobs. Recovery. Hope. What that means: I oversee services provided to families participating in CARITAS’ emergency shelter program. I report to the Program Case Manager and Shelter Manager. 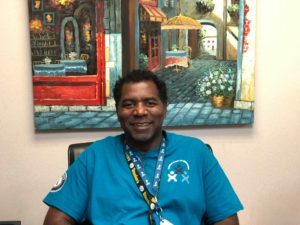 I support a housing first model ensuring CARITAS clients are placed in the most appropriate permanent housing option upon leaving shelter and am a part of the crisis response intervention, providing guidance to shelter staff as needed. It’s also my job to keep everyone focused and MOTIVATED. Background: I am originally from Tennessee. I came to Richmond to The Healing Place to find the path to a new life. I commenced with Works class 15! 17 months ago I sat down and interviewed for a position at CARITAS as an AmeriCorps member and I got hired. Hobbies & Interests: I am a car nut. I like cars. I want to one day have several garages, like Jay Leno and Reggie Jackson, filled with all my favorite makes and models. I Most Want To Visit: Australia. It’s the GREAT OUTBACK!!! Best Part Of My Service Position: I get to help people who I am more alike than different.